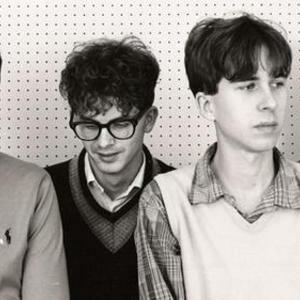 The Feelies are an alternative rock band which formed in 1976 in Haledon, New Jersey, United States. The band currently consists of Glenn Mercer (vocals, guitar), Bill Million (vocals, guitar), Brenda Sauter (bass), Dave Weckerman (drums) and Stan Demeski (drums). The band has released five albums, "Crazy Rhythms" (1980), "The Good Earth" (1986), "Only Life" (1988), "Time for a Witness" (1991) and "Here Before" (2011). Glenn Mercer and Bill Million formed the band as The Outkids in 1976, and changed their name to The Feelies later that year. The band moved to New York and began receiving critical acclaim for their performances. By the 1978, the band consisted of Mercer, Million, basist Keith DeNunzio and drummer Anton Fier. The band released their debut single "Fa C&eacute;-La", on Rough Trade Records in 1979. In 1980, the band released their debut album, "Crazy Rhythms" on Stiff Records. Fier and DeNunzio left the band shortly after the release of the album, and the band was put on hiatus as Mercer and Million pursued other projects. The two continued to occasionally perform with other musicians as The Feelies throughout the early 1980's. The band reformed in 1985 with a lineup consisting of Million, Mercer, Dave Wackerman, Brenda Sauter and Stan Demeski and released "The Good Earth" in 1986. The album was co-produced by R.E.M. guitarist Peter Buck. The Feelies toured with Lou Reed and R.E.M. during 1986. In 1988, the band released "Only Life" on A&M Records, and in 1991, released "Time for a Witness" on the same label. The band disbanded in 1992. The band reunited in 2008 and toured with Sonic Youth, before beginning a schedule of festival dates throughout 2009 and 2010. The band released their fifth album, "Here Before", on Bar/None Records in 2011.